Before Mile High Youth Corps you could find me in my bedroom sitting at my computer playing video games and finding any excuse not to go to my dead end fast food job. I had some college experience but nothing that made me proud. Of course I didn’t have any direction or goals, and I felt like I was in a purgatory going nowhere. I had no self-confidence and my friends were fed up with me not wanting to be social. My time alone in my room grew and grew and so did my waist size. I heard about MHYC through a friend and thought it would be another job that I would complain about over social media. I figured that I would eventually quit and be on a never-ending cycle of job searching. The thought of changing people’s toilets disturbed me, and I did not ever picture myself ever picking up a tool and working ten hours under the summer’s sun. I needed to better my mental and physical health and start building a successful future. I did not realize at the time that MHYC would change me into the person that I needed to be. 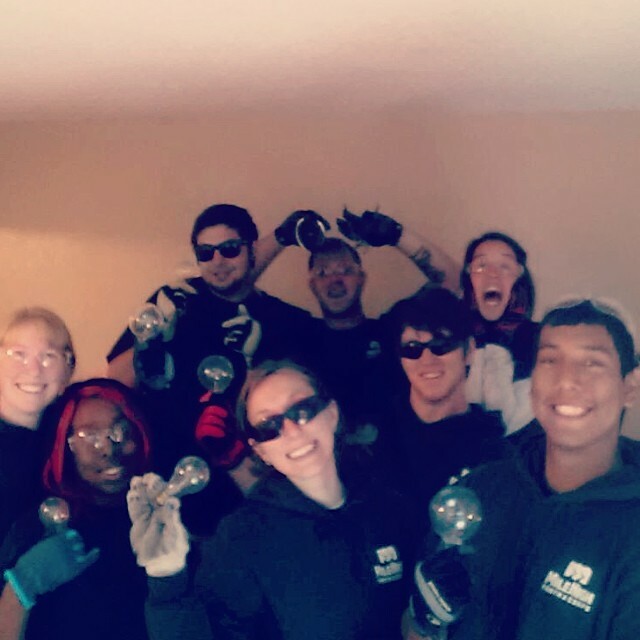 The ACLC program required me to serve my community via installing water and energy efficient fixtures to low-income households. The training taught me how to use a wide spectrum of tools and techniques along with customer service and teambuilding skills. But, no tool or training could amount to the one-on-one interactions with a client in need. One interaction that sticks out the most to me is when I was installing a toilet for an elderly woman. She was cute and very talkative, a loving fairy tale grandmother come to life. She asked me if there was any way in which I could install a shower bar, and then went on to tell me that the previous week, she fell in the shower, twisted her ankle and could not get up for two hours. This woman lived alone with her cocker spaniel and was desperate for help. Although MHYC does not install shower bars, each Corpsmember is equipped with a resource sheet that has a list of other nonprofits and the work they do. We helped the woman set up a schedule with Volunteers of America and she can now feel safe in her own home. It was the genuine gratitude from this happy, teary eyed woman that kept me strong and driven to complete my term with Mile High Youth Corps. The Land Conservation portion of the program required me to step up and become a leader, more specifically an assistant crew leader. 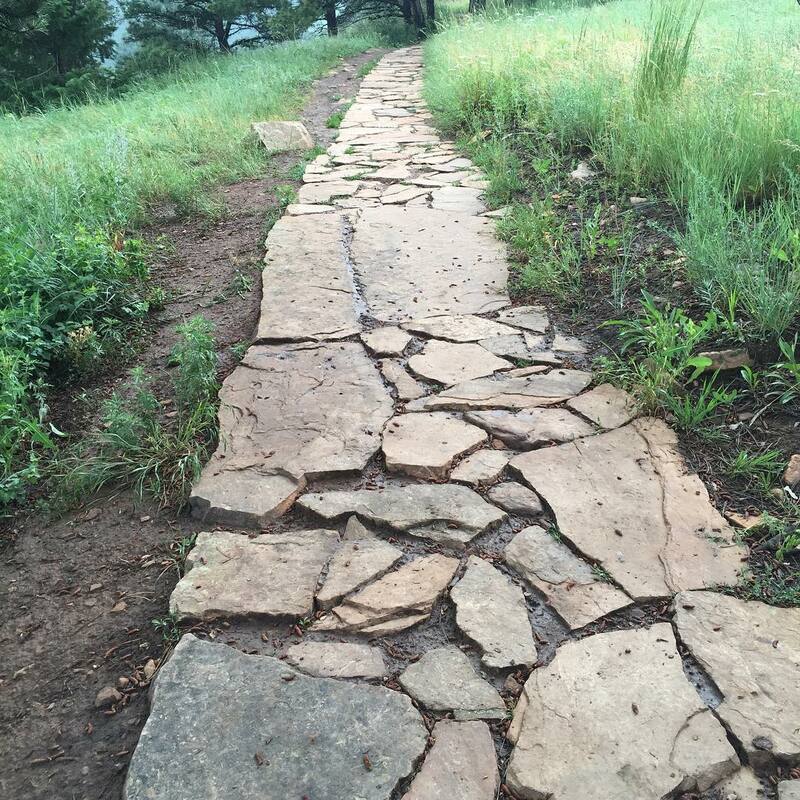 One of our projects was to make a stone walkway to prevent erosion and off trail use. For a point of reference, the rocks varied from suitcase size to door size and everything in between. For six weeks my crew carried, hauled and shaped large rocks so we could make a structure that would exist much longer than we would. Days were long and hot, and the work sites were two miles to and from. My crew was as miserable and sweaty as I was. I did not picture myself as a leader. I could barely even lead myself to get out of bed in the morning and now I’m required to provide leadership for 11 different people. I was tasked with providing educational activities and household logistics while serving on this overnight trail crew. I gained respect and admiration from my crew when I eventually started acting more like myself. Being outside for ten hours a day lightened my mood and set the foundation for me to open up to my goofy energetic, production focused mentality. Days seemed less painful and even my crew leader pointed out a positive change in my work, leadership and mood. When the 2014 year came to an end I realized how much of a difference I made to not only myself but to the people and the environment. I did not want my experience with service to end here; there were still things that I needed to learn about myself. The 2014 ACLC year granted me the strength and courage to find the confidence that I needed, but never had. I still did not know what my next steps in life were, which is why I decided to serve a second term with Mile High Youth Corps. During my second term of service, I lead trainings and orientation pieces for the next cycle of Energy and Water Corpsmembers. 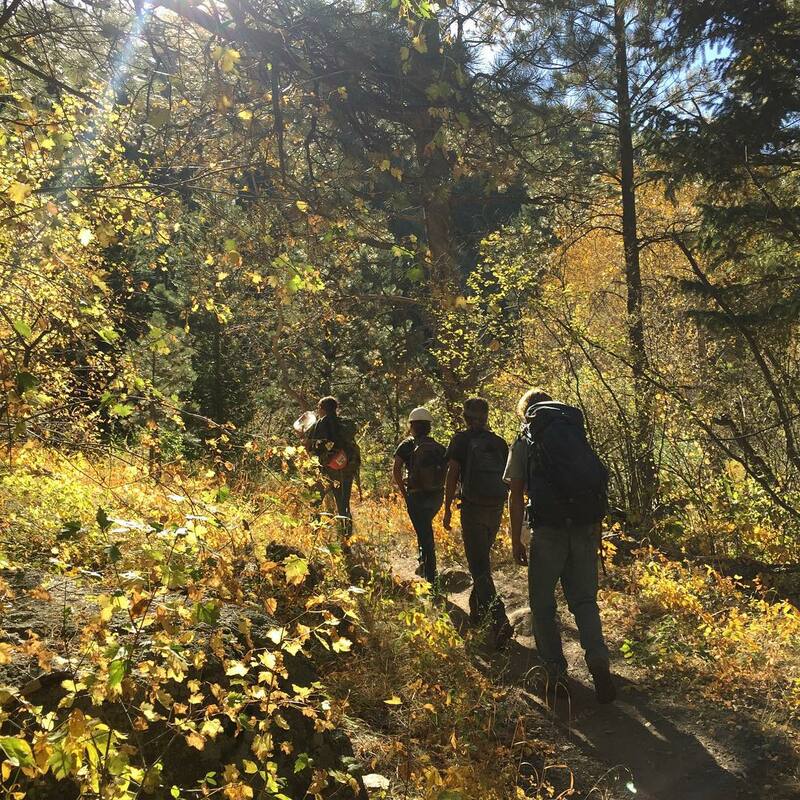 I worked with teams every day to make the Denver metro area a more resource efficient place. In the summer I played a very important role of alumni mentor where I worked on a different land crew every day to provide additional technical support. 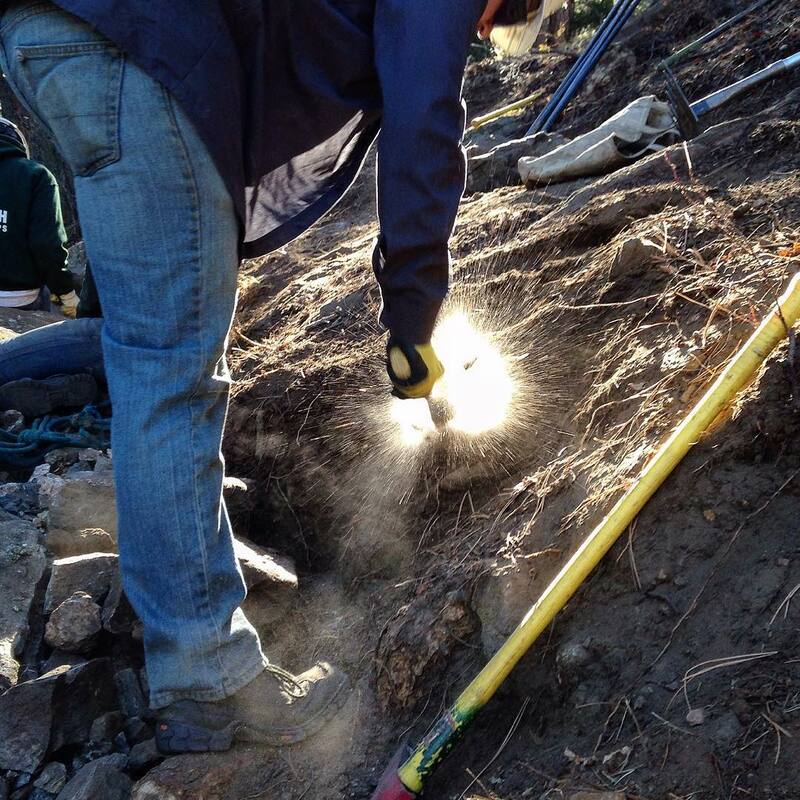 I taught the fundamentals of rock work and basic trail construction. Every day the different land conservation crews wanted me on their teams. I was made an honorary teammate on each crew. I learned that my personality and work ethic was very contagious, and my expertise and confidence showed in the productivity of my peers. MHYC has constantly reminded me of how creative, charismatic, self-motivated, solution focused and team oriented I am. With the help of fellow Corpsmembers and staff, I have realized that I want to go to school for marketing and to further seek work in the nonprofit world. I have applied to different schools and am ready to start my next steps in life in the 2016 spring semester. If I have learned anything from Mile High Youth Corps, it’s this: Never fear the unknown, things are always better than they seem and there is a silver lining in every toilet, rock and tough grinding workday. Stepping outside of your comfort zone and trying new things can be the best remedy for any directionless, 20 year-old couch potato, and trust me when I say there are a lot of them out there. Mile High Youth Corps has provided me with the pick and shovel that I will use for the rest of my life to pave my own path to success no matter how heavy and rocky it may be. 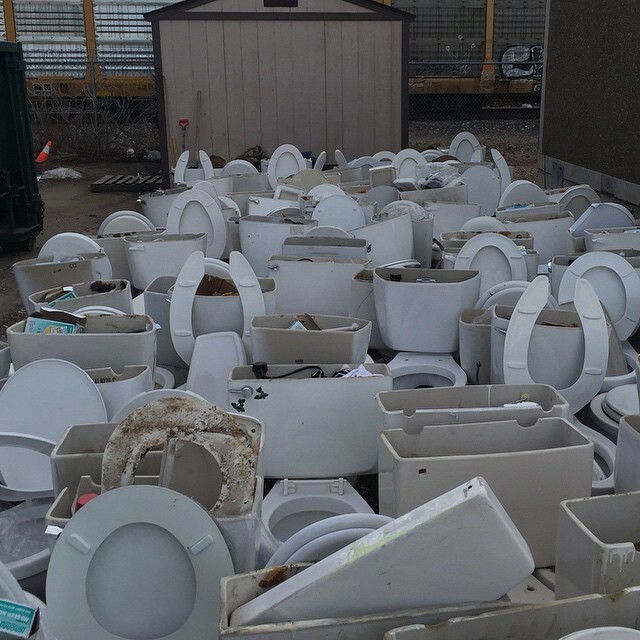 Every toilet installed in the Denver metro area is a reminder of the multiple lives that have been positively impacted. I am truly grateful and honored to have invested two years of my life to such an amazing agency that has provided life guidance and service to people like myself and many more like me to come. Posted in ACLC, AmeriCorps, Corpsmember Spotlight, Energy/ Water, Green Jobs, MHYC Alumni Spotlight, MHYC News, Summer of ServiceTagged ACLC, AmeriCorps, AmeriCorps Leadership and Conservation, Camping, community, Conservation, Corpsmembers, Denver, Energy Conservation, Green Jobs, land conservation, leadership, MHYC, Mile High Youth Corps, Summer of Service, Water ConservationBookmark the permalink. 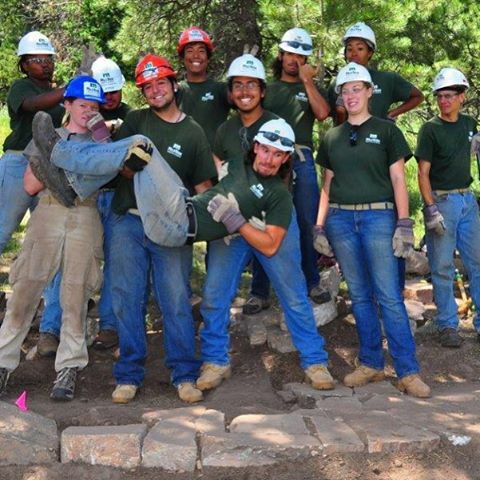 Pingback: Welcome to CO9to25 » Mile High Youth Corps Hiring for Summer!